In 2016 Luton was London’s 4th busiest airport and the 5th busiest airport in the UK, reaching 54 different destinations across Europe and Egypt. Luton was quite a punctual airport in 2016. Nevertheless, delays and cancellations do occur. We will endeavour to uphold your rights against whichever airline you have suffered disruption with when flying out of Luton airport. With our simple online calculator you have the ability check for free if you’re eligible for compensation and directly submit your claim online. More in-depth information regarding the EU Regulation and your passenger rights. In which cases are flight delays eligible for compensation? 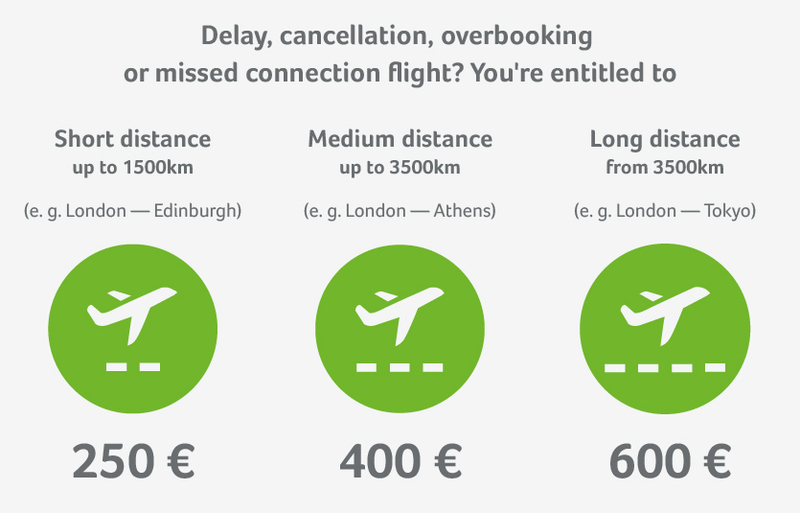 If the delay extends over 5 hours, you are entitled to cancel your flight. The airline must then reimburse you the costs or organise alternative transportation. You’re entitled to a stay in a hotel including transfer to the hotel and back to the airport. Contact the airline directly to request confirmation of your hotel and transportation in writing. Crucial information: Don’t take any excuses! The airlines do not relieve themselves of their obligation to pay your compensation if they offer you vouchers for drinks/food or hotels. Thanks to our expertise, we are able to enforce compensation with a very high success rate. That’s why we’re confident promising a completely free service if your case is unsuccessful! 14.6 million passengers passed through Luton Airport in 2016, connecting 54 international airports. The most travelled to destination from Luton was Copenhagen, with low-cost giant easyJet operating the most outbound flights from this airport (actually based just outside London, in nearby Bedfordshire). London luton fared quite well to its competing airlines in 2016, especially with its minimal number of cancelled outbound flights. It was less impressive in terms of flight delays, so some improvement is still called for. Going by the numbers it performed slightly above average in terms of UK flight punctuality. Luton offers passengers up to 4 hours of free wifi access whilst in the airport. If you need extra time, or faster speeds, they have some options which start at £3 per hour. If staff go on strike at Luton airport, passengers are unable to claim compensation against the airlines as strikes are deemed to be an ‘exceptional circumstance’. You will, however,l be able to make use of some additional services and benefits should the strikes badly delay your flight. You may also be offered alternative transportation by your airline. More information about London Luton here.